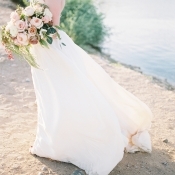 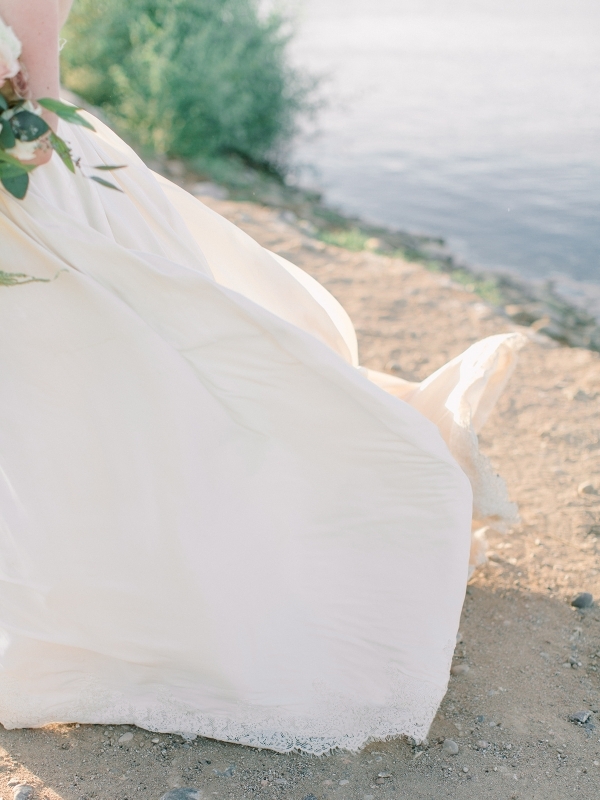 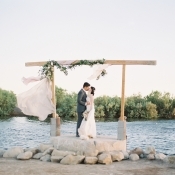 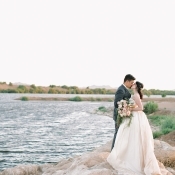 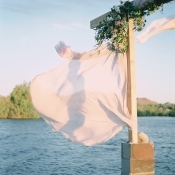 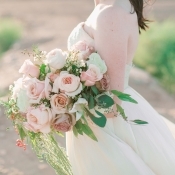 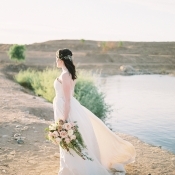 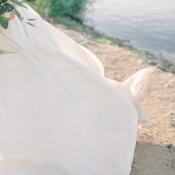 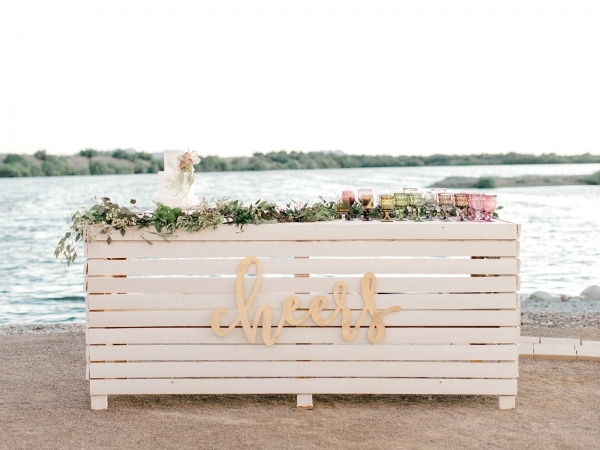 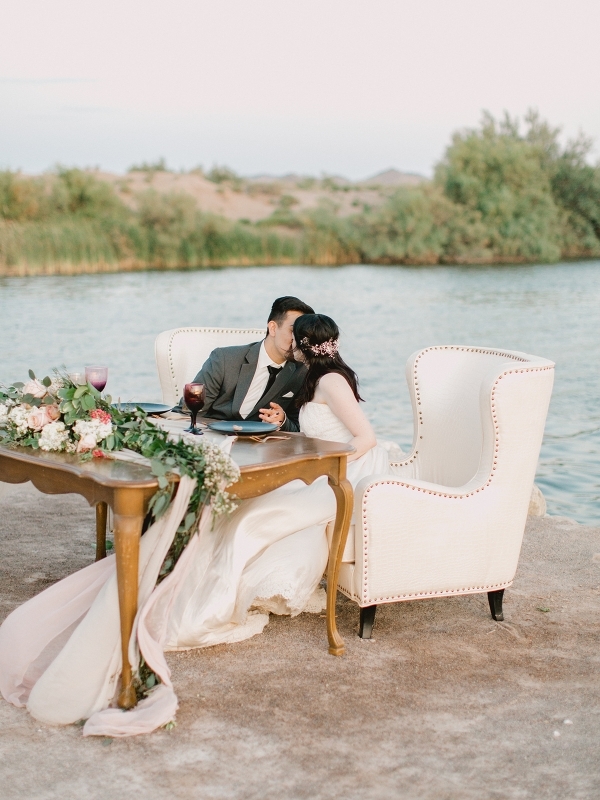 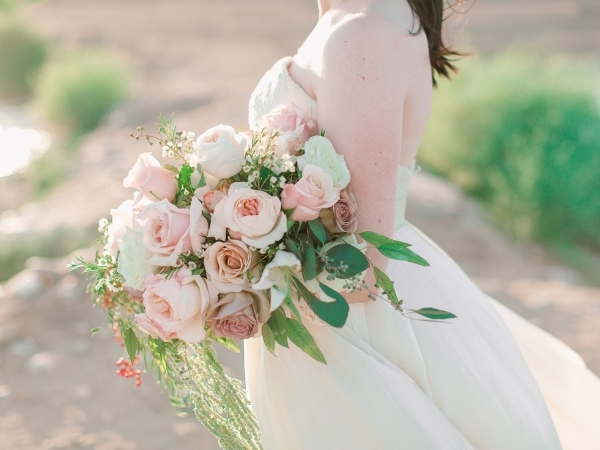 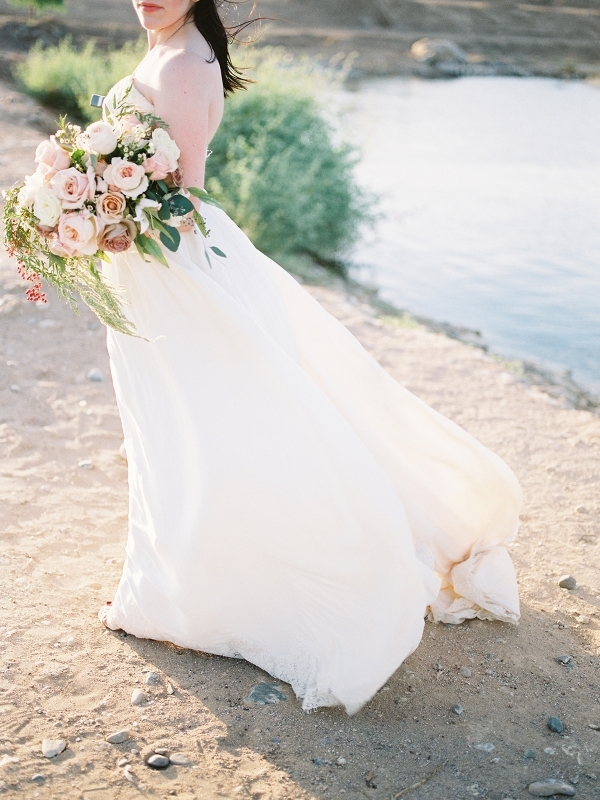 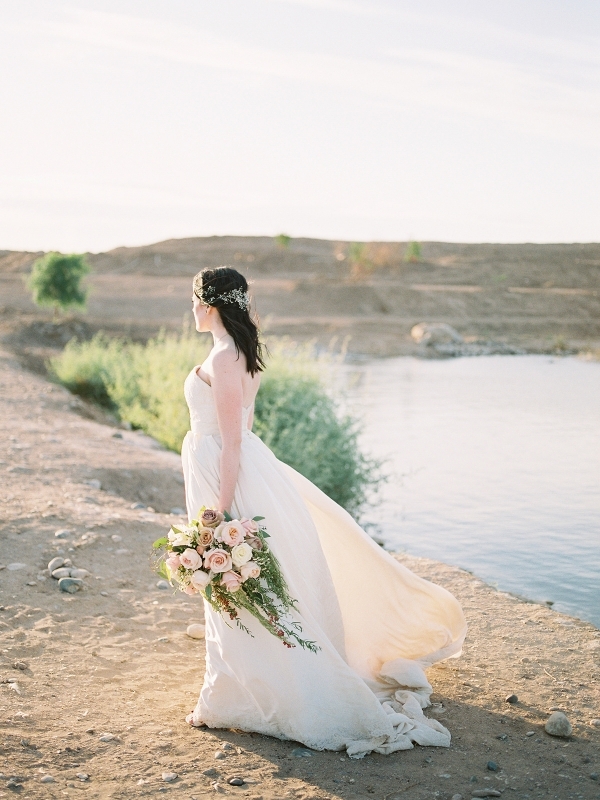 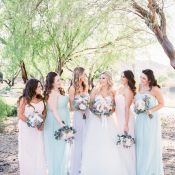 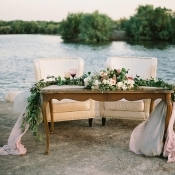 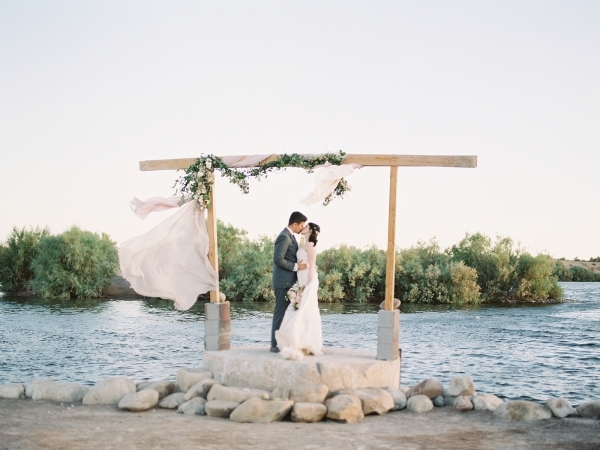 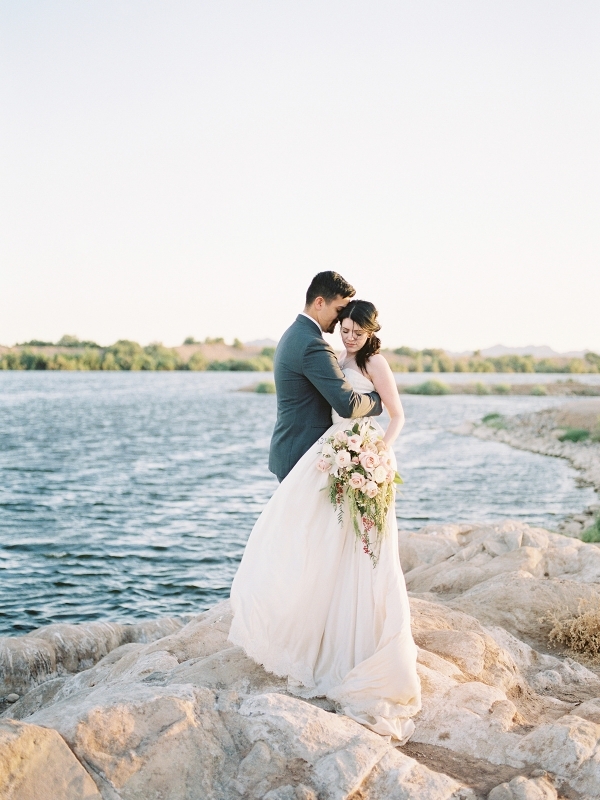 The warm Arizona desert set the scene for an earthy and organic inspiration shoot at Hidden Lake. 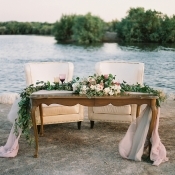 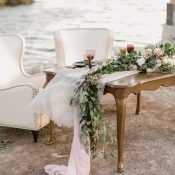 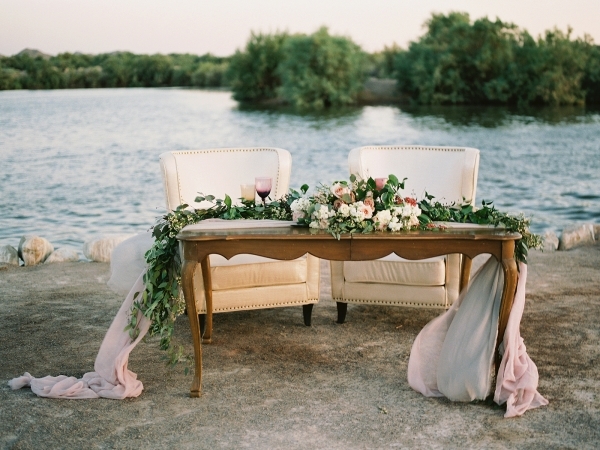 A color palette of rosy mauve, ivory, and organic green paired with flurry flowers on a sweetheart tabletop set beside the water. 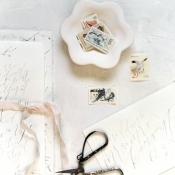 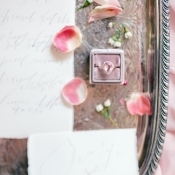 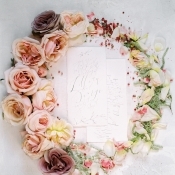 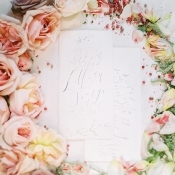 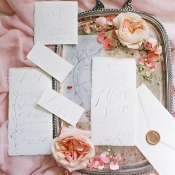 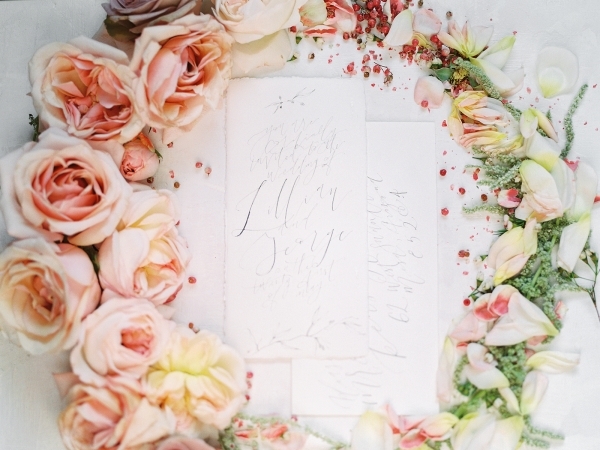 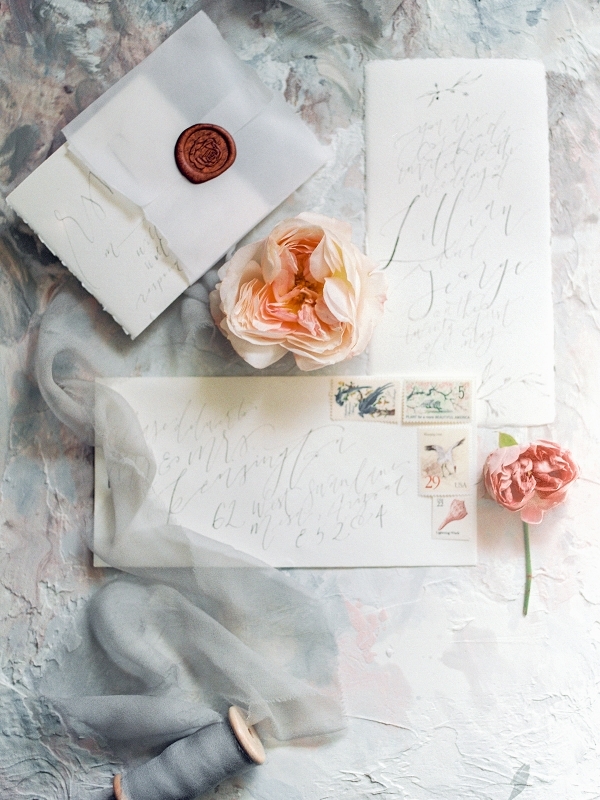 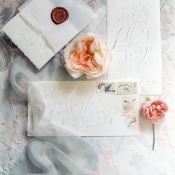 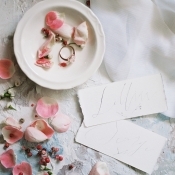 Handwritten stationery from Fox & West added an intimate touch. 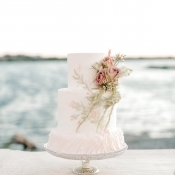 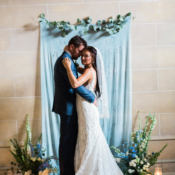 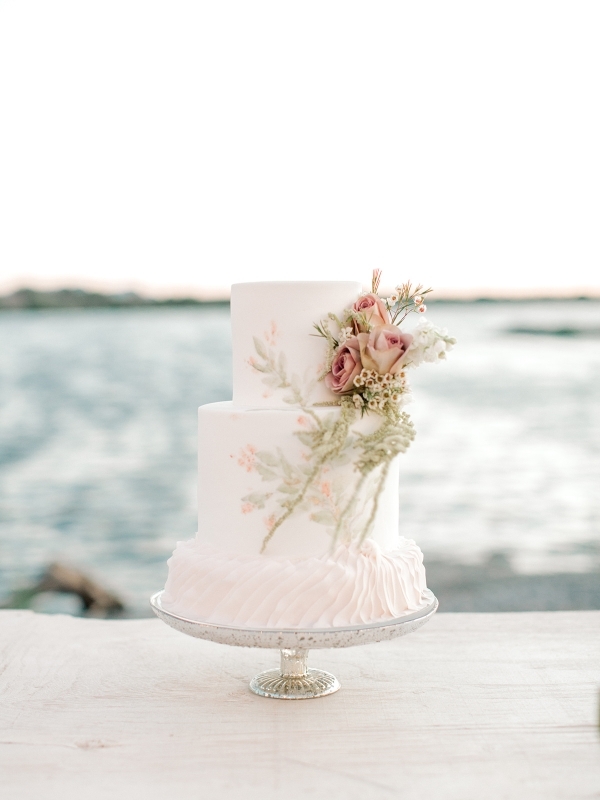 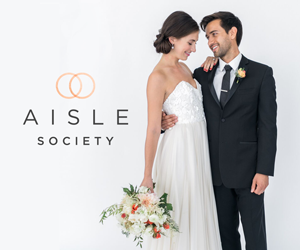 A Jolienne Collection gown and silk linens blew in the wind, and a seaside-inspired cake from Breezy Cakes completed the scene. 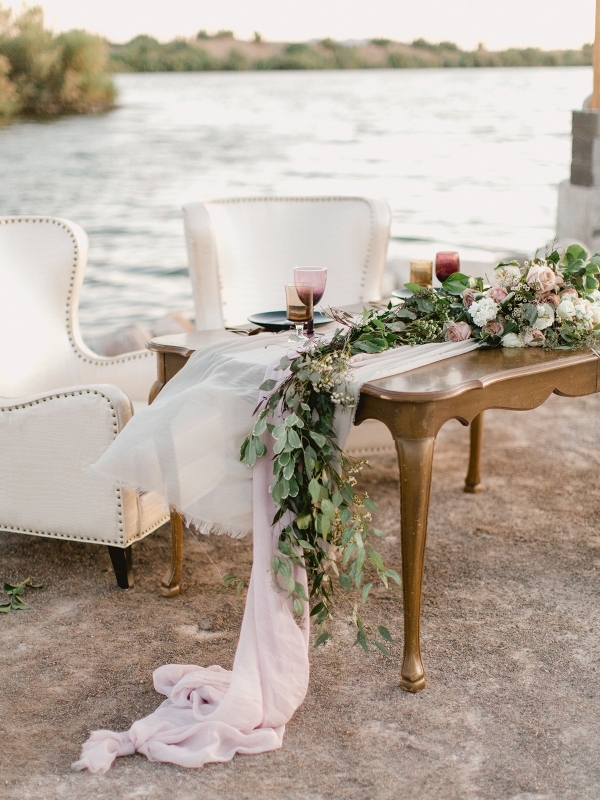 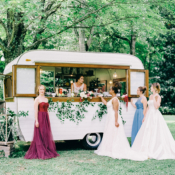 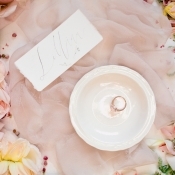 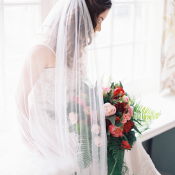 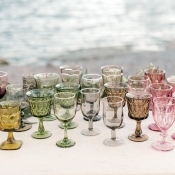 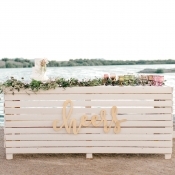 From the rainbow glassware to the sumptuous armchairs, every detail is beautifully captured by Ball Photo Co!